In part two, we dive more deeply into the client relationship life cycle and in part three, we will take a close look at how to initiate, nurture, and sustain outcomes-based relationships. Every relationship your company has with an advisor goes through stages as it evolves and matures. While you may be enjoying smooth sailing at the moment, not knowing which stage you are in, and how to navigate it well, increases your vulnerability to hidden perils. It also limits your chances of finding treasures buried beneath the sand of business-as-usual relationships. Knowing where you are not only helps you recognize, reduce, and avoid risk; it improves your ability to get the most value from your advisors. And, because you are constantly being inundated with other potential advisors trying to sell you on why they are the best – regardless of the stage it is in – your vigilance and a precise and proactive navigation system can be the difference between success and failure. The four stages in the client relationship life cycle occur after you’ve boarded your advisor’s “ship” and it has left the dock. (Sorry about beating the nautical metaphor to death, but I was a Navy guy.) 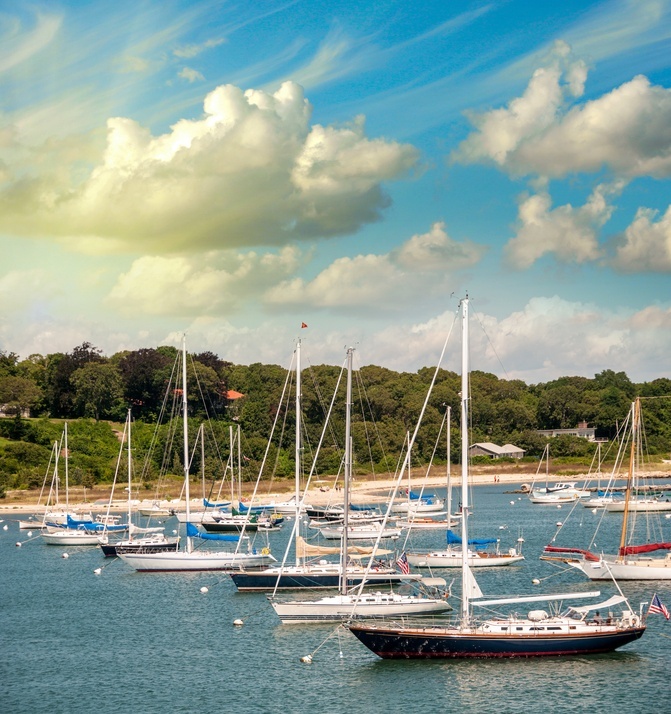 Why you decide to go sailing with an advisor, and your decision to actually get on board, is akin to a courtship and marriage. When your expectations (your reasons why you get on board) are sound, and when those expectations align with the outcomes you need to realize and, most important, when your advisor understands and is committed to, and capable of, achieving those outcomes, the marriage is off to a great start. This stage is first and, even though your advisor has landed you on board, it does not signal the end of your need to more fully understand their capabilities, service culture, and value delivery personality quirks. It is just the beginning because, unlike marriage, “until death do us part” is not part of the deal … you can jump ship at any time. The most obvious step in this stage is to reinforce your advisor’s responsibility to fulfill the promises made. What may not be so obvious is that by engaging your advisor, you have given him or her permission to learn as much about you as possible. To empower long-term success, the first year must be one of intense learning. 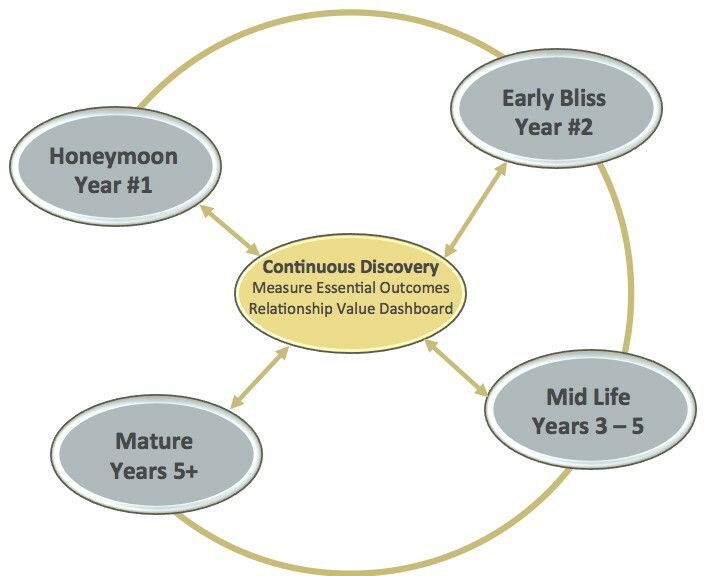 If your advisor is not applying the discipline of continuous discovery for the life of the relationship, he or she will be less likely to fulfill the original promise of the relationship and, over time, identify new needs and opportunities and then provide pathways and solutions for meeting your needs and realizing new opportunities. There are two key considerations to take into account and both have a significant influence on how long the relationship will last and how valuable it will be for both parties. The first is to have a specific and detailed conversation with your advisor about his or her service philosophy and platform. Even if this was covered before you hired your advisor, now is the time to dig in and make sure you both are crystal clear about the “who, what, when, where, and how” of servicing your account. Clarifying and aligning expectations on both sides is essential. The second is to develop a dashboard for measuring the activities needed to fulfill the contract and for measuring the progress being made toward the outcomes you need and expect. For a traditional broker, the thought of having a performance dashboard that tells the truth about the value being delivered can be a little daunting. This is something that you can begin exploring from the very first “date.” Ask how your advisor intends to ensure open and honest conversations during progress reviews. With a relevant dashboard, the result is a practical, get-it-done relationship. Understanding what’s being done, and what is and is not working, empowers the fine-tuning of your plan. It also leads to reasonable adjustment of expectations, and the identification of where your advisor can improve, or needs to acquire new capabilities and resources. It may be an obvious statement to make, but it can’t be emphasized enough; everything that happens in the honeymoon stage has a huge impact on the length and success of the relationship. During the “early bliss” stage – roughly the second year of the relationship – the pace of progress will slow or accelerate depending on what you did in the first year and what you do going forward. Uncover additional opportunities for applying the solutions in your advisor’s toolbox. The danger here lies in mistaking bliss for continued advisor diligence. If you stop expecting your advisor to apply the discipline of continuous discovery, the relationship can immediately begin to deteriorate into one sustained by familiarity, comfort, and convenience. When familiarity, comfort and convenience becomes complacency, even the best of relationships can unexpectedly, and quite suddenly, run aground. Most often, however, it is not one cataclysmic event that sinks the relationship. When complacency sets in, and advisors become indifferent to your changing needs and opportunities, small failures or shortcomings – real or perceived – will cause the relationship to take on water. To combat complacency and plug the inevitable leaks, you need a proactive approach to managing the relationship. Key to your success here is to be very, very clear that managing the relationship is a project unto itself. Holding advisors accountable for promises made, expecting masterful implementation of an evolving plan, and receiving world-class service are not enough. You must specifically invest in the relationship by setting aside time for reviewing how your advisor thinks and feels about where the relationship is … and where it is headed, or could be headed, in the future. The best way to accelerate progress, and protect the relationship, is to proactively engage your advisor in an exploration of new ways to add value to your plan. When the relationship reaches the “maturity” stage – when it’s five or more years old – chances are you have created a true partnership with your advisor. In the best of cases, he or she is continuously adding value and building both your businesses in mutually supportive ways. He or she has now become an “essential advisor.” As an essential advisor, he or she does not simply react to your needs; the advisor is helping define your needs. Your advisor has gone beyond being a broker of solutions to someone who is an essential part of every outcome you achieve. Which means – if you can stomach one more seafaring metaphor – the ship you are sailing is a cooperative enterprise, co-owned by you and your advisor. And together, you are continuously adjusting its heading to ensure greater prosperity and success for all aboard. In part three of this blog, I will share what we’ve learned about how to best initiate and sustain a relationship based on the outcomes that count. In the meantime, please contact me with your questions and comments.